Uber alternatives are fine with being regulated, and do not use surge pricing. In the wake of Uber and Lyft huffily leaving Austin, a swarm of lesser-known "ride-hailing" or "soft cab" services are rushing in to fill the void. Unlike the giants Uber and Lyft, these companies seem to be fine with following local regulations. And the big news is: not a single one of these Uber alternatives uses "surge pricing", the dynamic pricing system which Uber and Lyft use to manipulate the market. 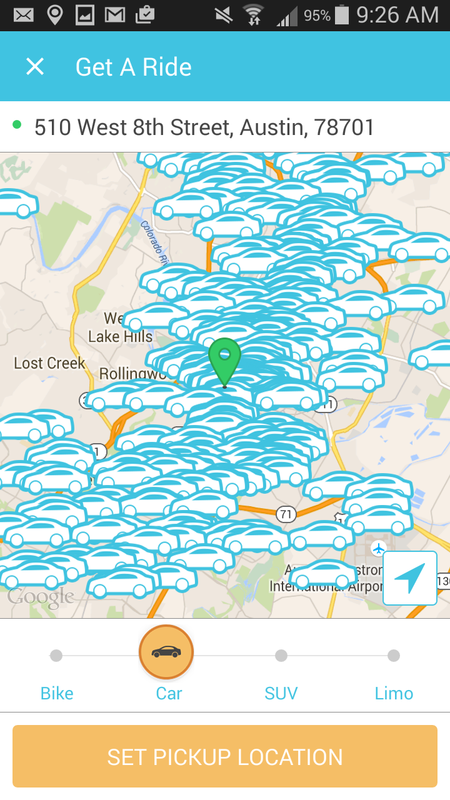 Dallas-based GetMe shows an absolutely insane number of cars available on their app. Uber always tried to make their over-saturation less noticeable by limiting the number of visible cars to 8 or so. GetMe shows so many cars available it actually interferes with the screen refreshing rate. It might also be daunting to would-be GetMe drivers -- how easy can it be to make money with this much competition? Playing the Lyft to GetMe's Uber is Fare, founded in Phoenix. Part of Fare's selling point is that they claim to be friendlier to drivers. They appear to be far, far behind GetMe in terms of drivers available, but that might be a good thing as far as sustainability of the network is concerned. Back in 2012, when Uber was just a limousine dispatching service, Tickengo was one of the first companies to go the "ridesharing" route. Since rebranding as Wingz, they have focused exclusively on airport rides--until now. 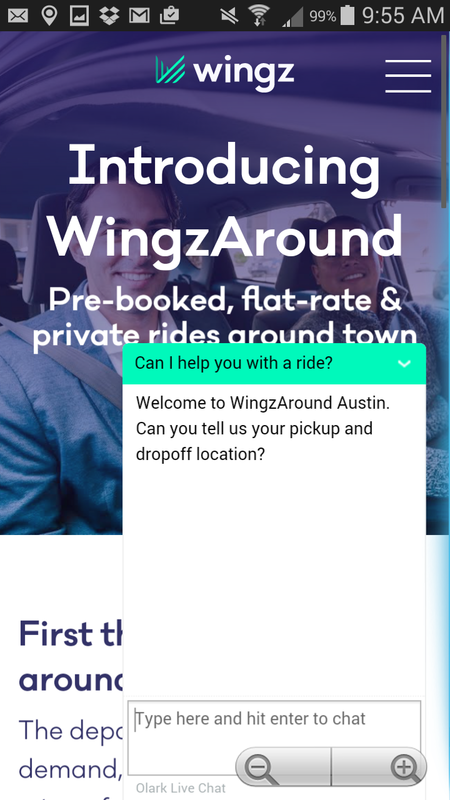 Their new "WingzAround" service, available only in Austin, gets back to their roots. 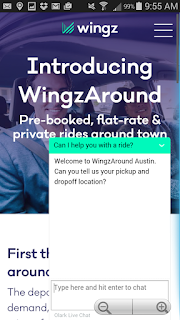 It's interesting that, while both Fare and GetMe's apps follow the map-based style which has become the e-hailing standard, Wingz is sticking with a text-based alternative format, as you can see from this screenshot. 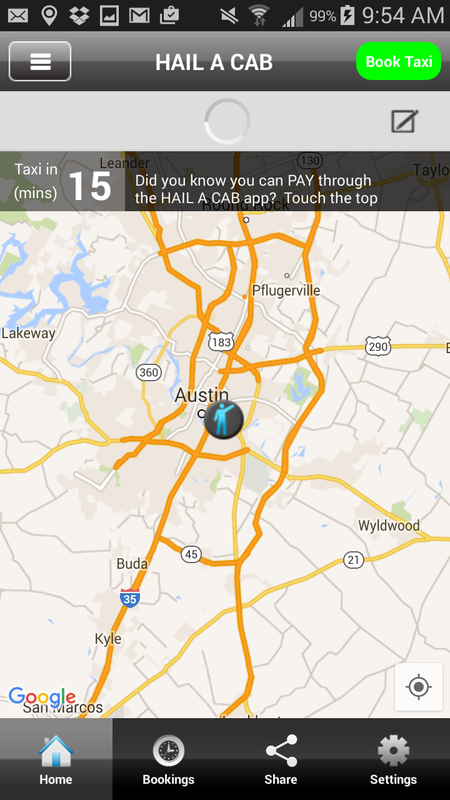 Finally, there is Austin's licensed taxi app, Hail A Cab. Unfortunately this app uses a very old-fashioned (circa 2010) style of map-based format in which you can't see the available cabs until after you have ordered one. Nobody likes that, guys. 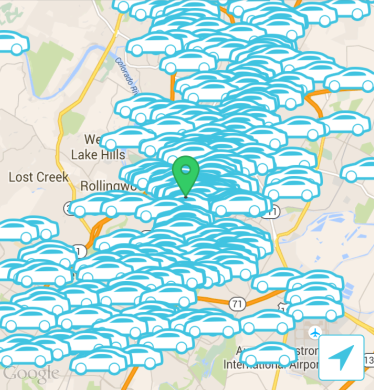 The licensed cab industry in Austin might want to try attracting a more up-to-date taxi app such as Flywheel. Certainly the time to roll out a competitive alternative is now, while the elephants are out of the room. If any of these smaller, more driver and passenger friendly alternatives can take hold before Uber and Lyft come crawling back, Austin could invent the future of e-hailing: locally regulated, and free of surge-pricing.